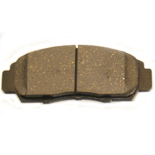 KFE KFE Quiet Advanced Ceramic Brake Pads are manufactured with better friction materials compared to most OE brakes. KFE Brake Systems ceramic formula will give the driver the ability to brake harder and faster due a higher consistent coefficient of friction. High coefficient of friction on a consistent basis means that the brake system will be able to sustain a longer high temperature condition without brake fade under deceleration of your vehicle. Not only in extreme braking conditions will the brake pad function at a high level, during “cold” conditions the system will still able to perform on a consistent basis. Keeping the environment and general public health in mind, all of our brake pads are made from 100% asbestos-free materials. Each brake pad also is treated with the thermo scorched process. This helps eliminate much of the break-in process done by you or professional mechanics. Along with this process, we also implemented the Positive Molding process. This process used by all the OEM manufactures which ensures a more consistent characteristic in the lifespan of the brake pad. 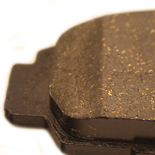 Finally, all of our Quiet Comfort OE brake pads come with dual-sided rubber reducing shims. The shims have several functions in the brake system. One is to act as a buffer between the piston of the caliper and the back plate of the brake pad keeping it undamaged and extending the life of the brake pad. Secondly, they act as an absorbent to vibration, which will reduce the noise. Finally shims act as a shield against heat transfer. This can help extend the life of your brake fluid and save you more money on future costly repairs. Want better braking on your vehicle? 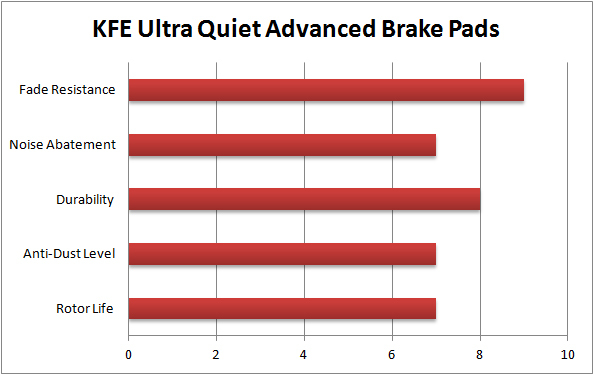 The KFE Quiet Advanced Ceramic Brake Pads has a better formula than OEM semi-metallic compounds. The Ceramic compound will give you a better bite and a more consistent friction of coefficient at a higher temperature! Other features including slotted and chamfer edged brake pads, which are featured in most but not all brake pads. Slots in the brake pads have two jobs. The first is to help clean the surface of the brake rotor. Secondly, they help gas to escape between the pad and the rotor. By having more contact between your brake pad and rotor disc, the driver will be able to stop their car more effectively. 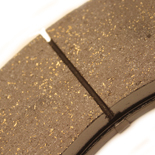 Chamfered edges on brake pads will help reduce noise, and prevent lift of the brake pad. This can help save and extend the life of your brake pad and save you money down the road. Eliminating brake noise is our top priority. Dual Rubber shim material, manufactured, and designed to produce one of today’s best weapons to combat against brake noise. The result is having a shim that will absorb more vibrations, and in turn can reduce more brake noise. This manufacturing technique used by KFE Brake Systems and all major OE manufacturers ensures pressure and heat applied evenly to the material composition and back plate. This allows an evenly distributed characteristic throughout the brake pad surface. The finished product results in a more predictable brake system with less brake fade. This manufacturing process reduces the break in process, enhancing both your driving experience and road safety. All KFE Brake Pads go through this process which burns off much of the uncured agents. 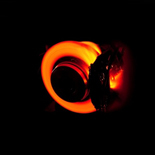 This then stabilizes the friction of coefficient and reduces noise causing agents. Without this process, a break-in or bed-in process is performed by doing several high speed accelerations and decelerations.